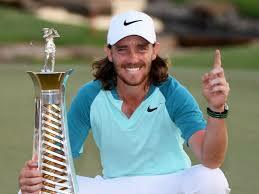 Tomorrow starts 3 days of the best golf you can see, ever. 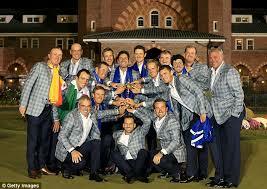 The Ryder Cup seems to inspire golfers to play in a way that simply defies explanation. Every two years Europe and America challenge each other to see who can rise to the highest possible levels and this year they are doing at the tight Le National course in Paris. A fitting place for a dogfight and that is what I expect. 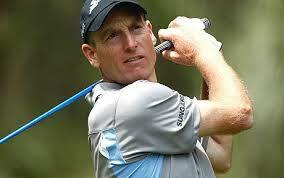 Meticulous, quirky, Jim Furyk has always had his own way of getting things done and he is one dogged individual but he and his Vice Captains, Davis Love, Matt Kuchar et al are hardly the most inspiring group. Whilst they may not inspire another issue with team USA has always been that their superstar team has rarely gelled with the likes of Mickelson and Woods entering the fray with awful records in the Cup relative to their individual abilities. Can Jim do what no other Captain has done and get the best out of these fabulous players? That of course is the big question. If you think yes then they may well prove just too good. But! Think about this. 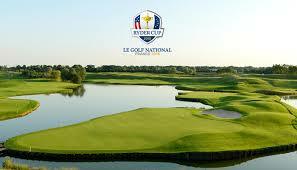 All of the Europeans have played this course, some a number of times. Two have won at this course and there is no doubting that the National wouldnt be in the top 20 courses in Europe that Jim Furyk would pick to stage the event, if he had his choice. It’s just too tight, it’s been set up like an Open course with no fewer than 4 cuts of rough in a number of places and it’s really tough. The Amercians follow the sun in their tour and they pretty much play the same type of golf week in week out and adapting is something that they struggle with. The two most adept at this are Tiger Woods, who will happily take a 2 iron off the tee for 72 holes and Jordan Speith who has shown he can adapt with his links wins. The others I’m not so sure. 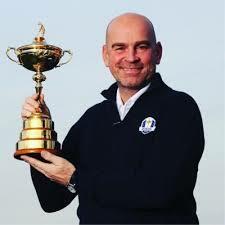 Thomas Bjorn has behind him Graeme Mc Dowell, Padraig Harrington, Luke Donald and Lee Westwood. Not a prima donna amongst them, genuine guys who loved playing in this competition with bags of experience and personality. To me this could be the deciding point. I have always believed that a Champiomn Team will beat a team of Champions and I think at management level the Europeans may have the edge, to go with home ground advantage. I dont think for a second it will be a cakewalk and the draw is inviting at 12/1 but with the USA at a best priced Evens and 5/4 available for the Europeans I am siding with the home team. It might, after Brexit be the last time we British get to take part so lets leave with a win.